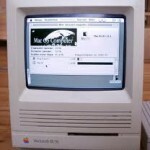 Should I Buy A Mac Computer? 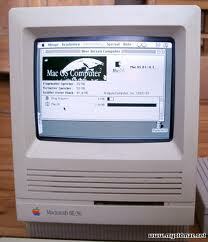 The first time I bought a computer it was a Mac in the mid 1980s. I loved the design of the mouse with the visual interface and DOS was boring and backward. I continue to work with Macs for 5 years. Eventually I needed to earn a living so I grudgingly bought my first PC. Macs have always been a better engineered and designed computer. Compared to Microsoft it was and is elegant and efficient. Today I do not own or use a Mac. The reason is that I am a small business owner plus, and most importantly, I’m cheap. As a small business person you make decisions that favor your business. And Windows is the way to go. It is the easiest and (almost) cheapest way to get a good operational machine. There are two issues that make this a no-brainer. 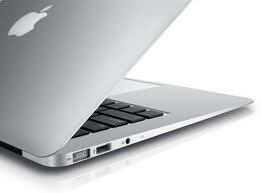 First, you can get a functionally (not performance-wise) equivalent Windows machine for about 60% the cost of a Mac. 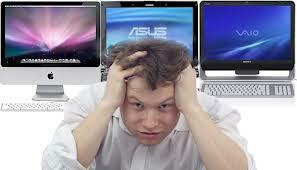 Second, all the software you need for standard business work is first and foremost available on Windows. This last one is diminishing over time but it takes some head scratching and looking around to get to some things on a Mac. And you don’t want to be an IT person just to figure out how to get your books done. 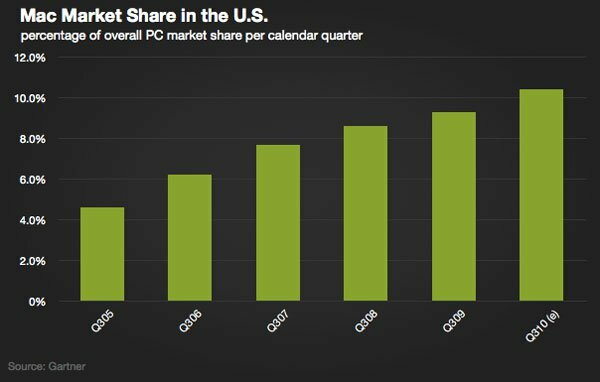 Over the last 10 years Macs sales are rising as a share of total PCs sold. Don’t be fooled, this is just a fashion effect that comes from the coattails of the iPhone. The reason Macs sales increased is because Apple invented the modern eco-system. And individuals have bought into it but as a business owner the eco-system is important to you. And Apple’s system is even more closed than Microsoft was during the apex of their computer hegemony. And this is why I can’t recommend Apple as a business product. You need the flexibility to adapt and tie into different systems to maximize your ability to communicate and share information. 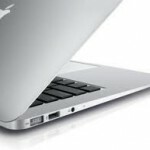 9to5Mac announced a possible new MacBook Air, does this mean you should buy one? No it does not. Buy a Windows PC for a cheap price (keep it under $650 or so) and if you want it to double-duty as a personal recreational computer then add a premium and get nicer/faster/lighter hardware. 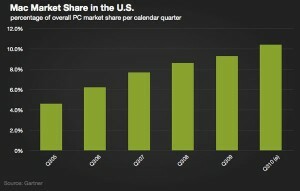 Next Post -- What Is Windows 8 Like?